This sweet lil bird is just waiting for you to take him home. 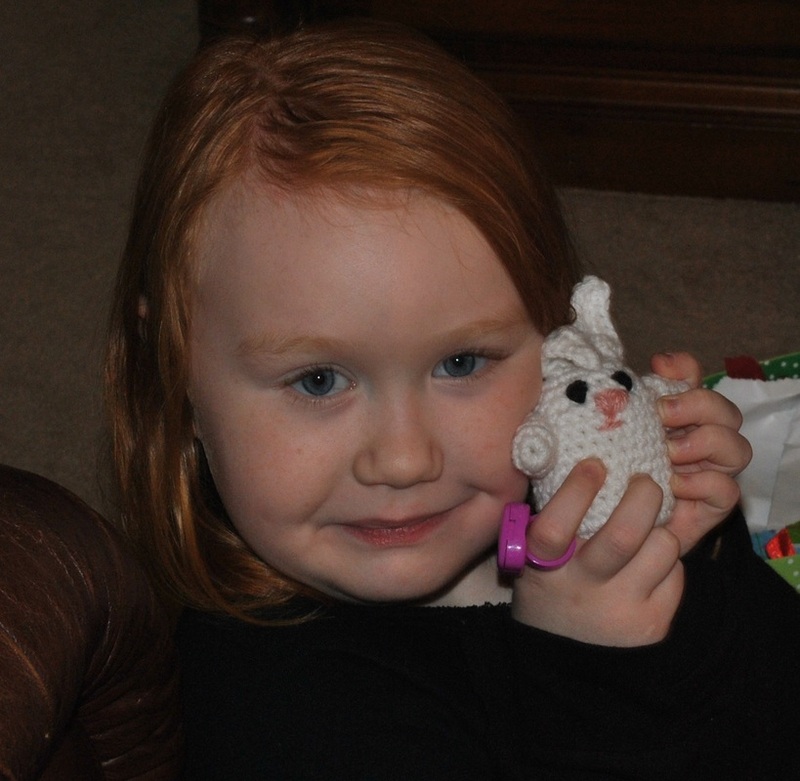 Soft, squishy, and made from 100% cotton yarn. Take him home and throw him at somebody today! Belinda is your friendly neighborhood ghost who would love to haunt your door way. Made from 100 % cotton yarn. Gromp is squeezably soft and would love to wrap all 8 tentacles around your hand. Snuggle up with one today! Marv has bats on his brain. You might even say, hes rather batty! Which ever you want, take Marv home to day and hang with him! 100% cotton yarn. Patsie got made a wrong turn at Madagascar and needs a new home. Will you help her? Take her home today! Body is 100% cotton yarn. 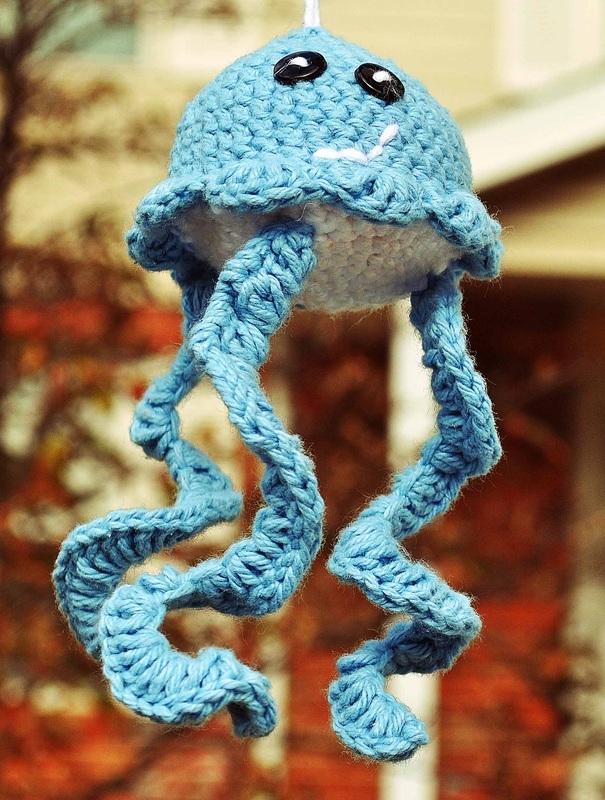 This lil dude is Johnny, the jelly fish. He likes to just, hang around and chill out. He also loves to travel. Hang him from your rear view mirror and let him see the world! 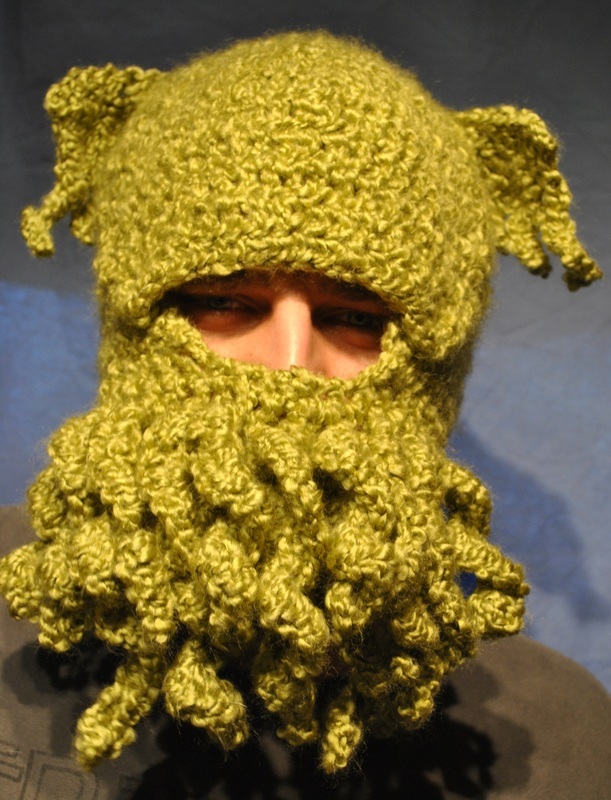 Made from 100 % cotton yarn. 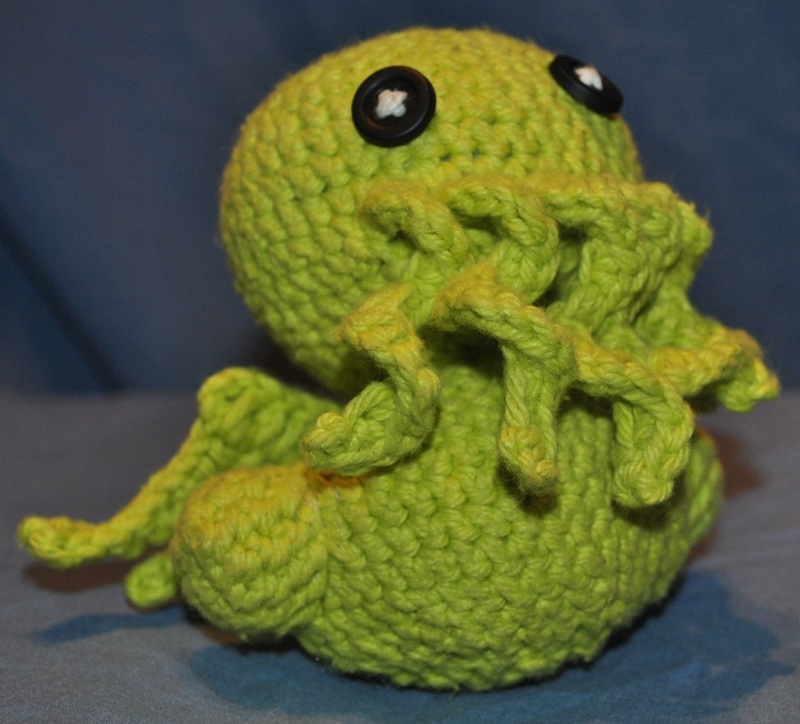 Mini Cthulhu here. He may be pint size but be careful! He can still take your heart by making you fall in love with his cuteness! Made from 100% cotton yarn. This puppy knows how to make friends with the cat! Soft and squishy, he'll fit in your palm but take up a lot of your heart. Mini may be small, but don't let that fool you, this fluffy lil' bunny is big on fun and love! Take her home and she'll hop all over the place with you. Looking for the perfect gift for the person who has everything? Do they drink a lot from mugs? Then look no further! Customized to fit your special person be they coffee, tea or other drinkers. Words on mug can also be customized. Rwar! 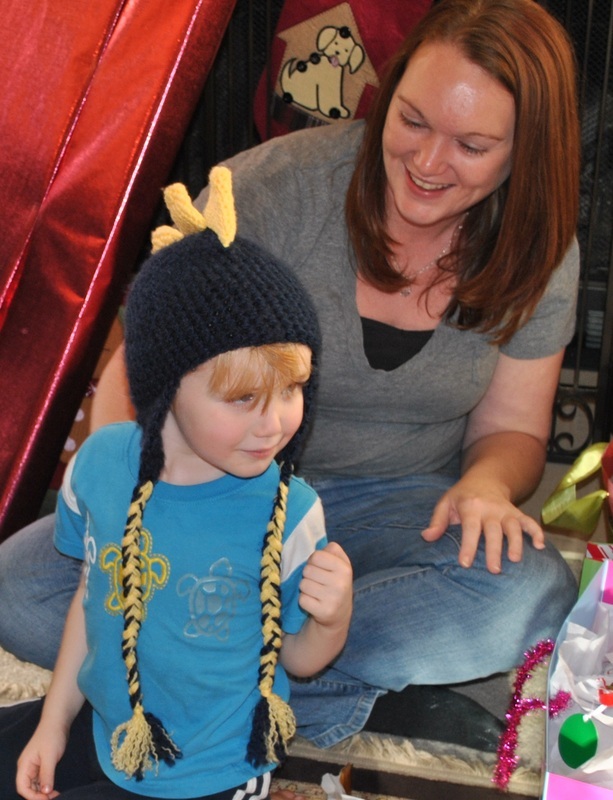 Look fierce in this warm and soft hat with colorful dinosaur spikes down the center. Ear flaps will keep your head nice a toasty while the braided ties will add a pop of color and fun to the hat. _Rwar! Look fierce in this warm and soft hat with colorful dinosaur spikes down the center. Ear flaps will keep your head nice a toasty while the braided ties will add a pop of color and fun to the hat. Can't grow facial hair? Don't want to? But still crave that hip, woodsmen look? BAM! Here you go. Keep your head toasty while styling a warm beard and mustache. Color customization and detachable options for beard. Looking for slippers that do more then just sit in your closet? These Mary-Jane slipers are very comfortable and stylish. You'll put them on as soon as you get home and will never want to take them off! Please add to any order where you wish to have changes made. This can include colors, sizes and more. Some fees may apply to special orders. You will be emailed to discuss the specialization.